Buying or renting a property in Bali can be very confusing. I can help to explain the best options available to suit your needs. It is important to be able to understand fully any documents that you need to sign. I can provide written and verbal translations and explanations about any business and legal documents. If you hold any significant assets in Indonesia, I can help to create the required agreements and documents to ensure they are passed to your nominated heirs. I can conduct due diligence for any property or business you might be considering purchasing. I can assist to create a pre-nuptial agreement, which is important for foreign and Indonesian couples if they plan to purchase property in Indonesia. I can also handle divorce cases. I can advise which kind of company to create, whether it is a CV, PT, or PMA and help to establish the company. Depending on the business you plan to open I can help to get the required licences. Such as IMB (building permit), dive shop, pondok wisata (hotel and villa), restaurant or any other kind of licence. This service is only available in north Bali (Buleleng). 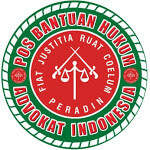 I am in an English speaking lawyer in Bali. 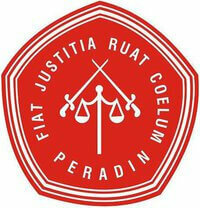 I have a great deal of experience helping foreigners in both criminal and civil matters. Contact me for a free consultation. Is it true that ISIS who carry out suicide bombings in Jakarta?